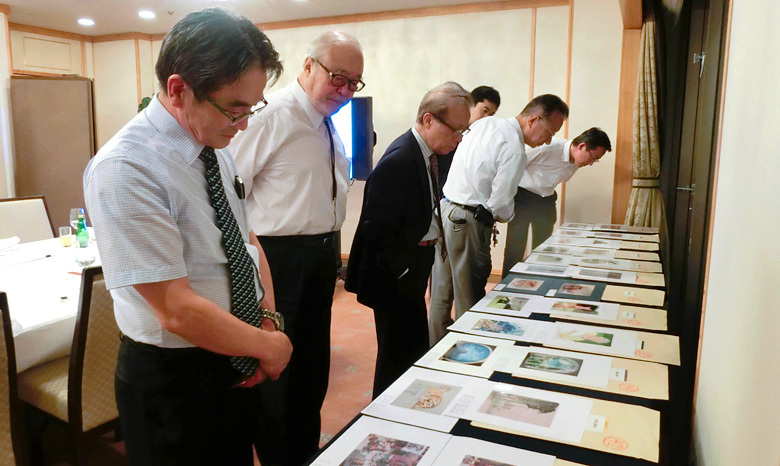 The selection committee of The International Takifuji Art Award 2015 was met on September 16, 2015. 12 students from Japan were selected for top prizes (one of them received the Grand Prix) and three were selected for special prizes. From abroad, seven students were selected for the highest prizes and two students for special prizes. Winners were from China, South Korea, Singapore, United States, France and Germany. The Award Ceremony is held on October 19 in Tokyo, and the winners will receive certificates of merit and scholarships from TAKI Hisao. The day before the ceremony, the winners will visit the atelier of the Atami Yugawara Kobo near Tokyo where a number of Japanese artists who create public art in stained glass and ceramic relief will be present. In the workshop, research has been conducted on ceramic glazing using nearly 5000 different glaze colors.